A swimming pool is the ultimate in backyard luxury. Having a custom pool deck in your outdoor living space gives you the chance to cherish many memories with family and friends. If you are looking forward in adding some extra beauty and luxury to your pool area and wish to have the best poolscaping done to your home then you are at the right place. 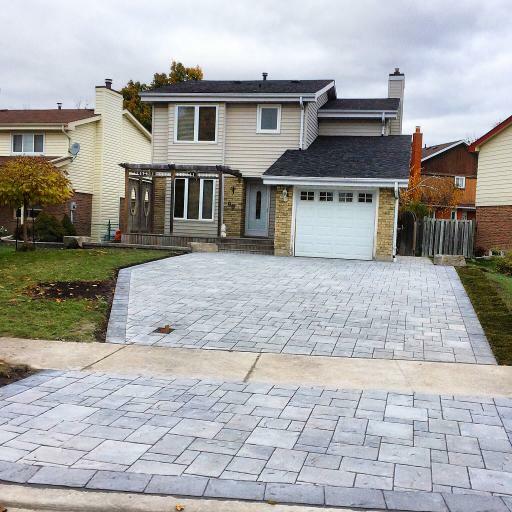 We are professionals in this industry and we have been building poolscapes for many homeowners across Vaughan. Give us a call to find out why we continue to lead in the pool industry. It is important to remember when designing your pool landscape design that your pool is only one part of your outdoor living space. You should hire a professional architect to design your pool area so that the pool and the landscape around it compliments each other. If requested we can offer our clients architect drawings for each custom pool. 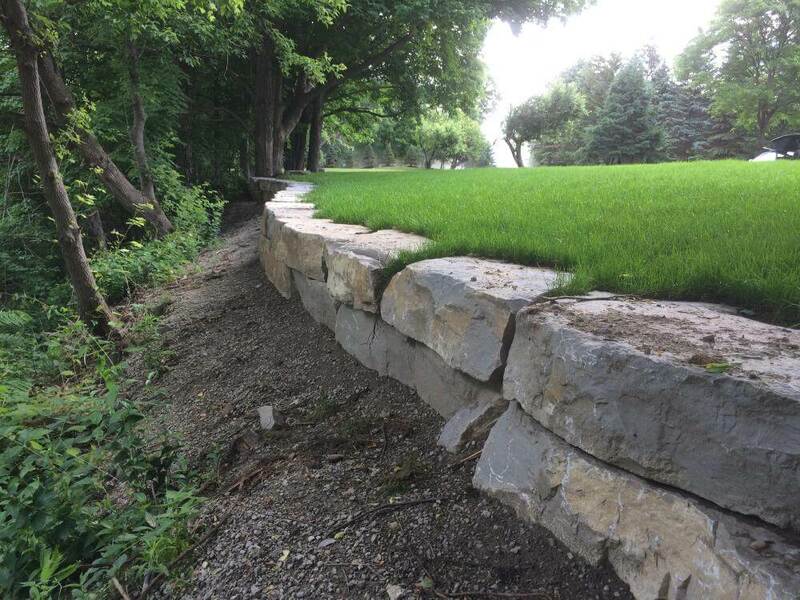 We have years of experience in the industry and can help assist you in creating your backyard getaway. There are several swimming pool landscaping ideas that you can have to enhance the overall look of your pool area. Adding characteristics like; pool water features, outdoor lighting, specific interlock designs, decorative rocks and tree plantings can help transform an ordinary pool into a custom masterpiece. There are literally hundreds of ideas that you can consider while planning your swimming pool landscaping. For the best swimming pool decks in Vaughan call us today and we will strive to provide you with the best quality service in the industry. A pool landscape design depends on the style and tastes of the homeowner. Every custom pool begins with a drawing, these drawings can be tailored to fit the size and shape that the homeowner desires. 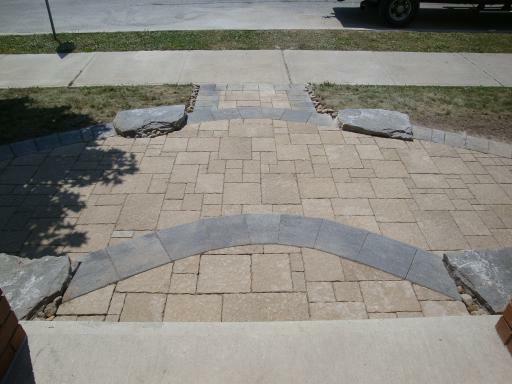 It is up to the contractor to help the homeowner choose the overall look that matches the exterior of your home. Sitting with a professional contractor who can help you with your pool landscape design is the first step in creating your backyard oasis. For over a decade we have been helping many homeowners in Vaughan by creating beautiful pool landscape designs for their property. 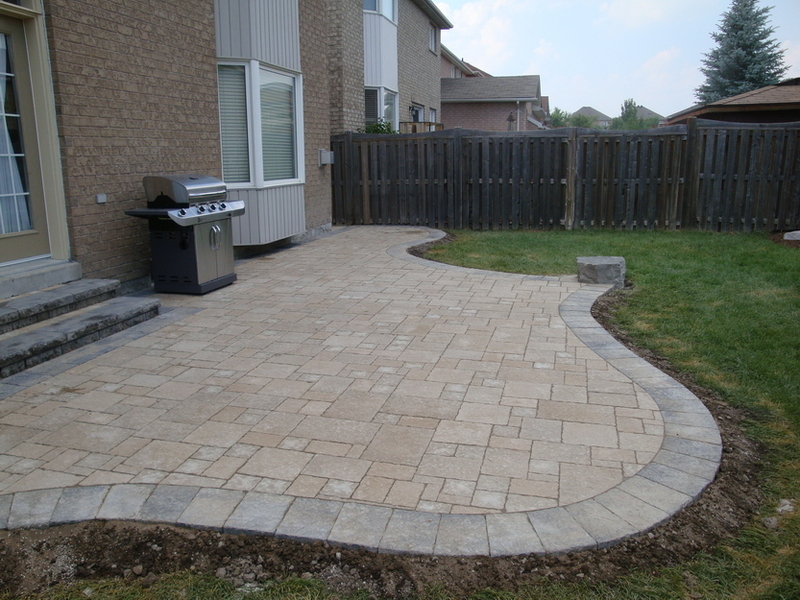 Pool Decks Design & Installation We provide custom pool deck design & installation services in Vaughan, ON. 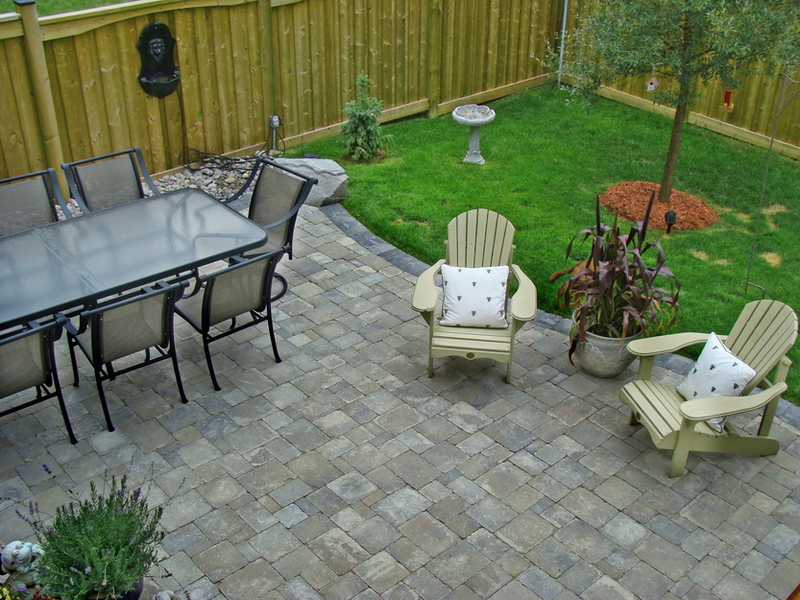 Let us create a one of a kind poolscape design for your Vaughan landscape. When deciding on your swimming pool deck you should consider a couple key factors that can help you choose which material to use. Your decking material should be able to; resist excessive heat, should be easy on your bare feet, and will not become slippery when wet. It is necessary that you choose the best deck material for your swimming pool in order to make it practical and useful apart from looking great. We take pride in being a well known company in Vaughan, Ontario and we can help you decide the best deck material for your custom pool. When building swimming pool decks your contractor must provide proper amounts of slope in order for excess water to run off. This is very important in making sure that no pooling will occur. 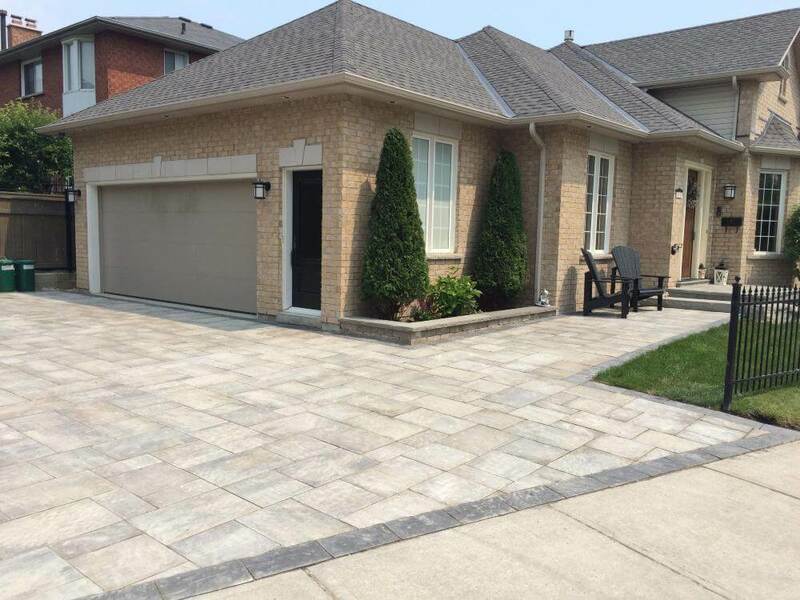 You should also choose to have a light coloured paver so that it will reflect the heat and make it more comfortable on your feet. It is important to hire a professional contractor like us when deciding to build a custom swimming pool deck because we will help you make the right decisions. There are many ideas that you can choose from when building your swimming pool deck. You should always keep in mind the overall exterior design of your home and the design of the pool, this way you can make the most use of your outdoor living space. Having a plan is the first step, once the plan is in place you can begin the construction phase. Contact us today. For the best pool deck designs you should hire a reputable contractor who can help in creating your backyard oasis. Our experienced staff has been satisfying customers with their swimming pool needs and our customers love our attention to details and our unparallel customer service. Call us today for a free consultation. We have consistently delivered results to the utmost satisfaction of our clients. A swimming pool landscape design should be done by a professional contractor who provides the best services and has the required knowledge and skill. After deciding the design and the type of materials to be used the whole area is developed step by step in a professional manner.